Below is a list of the properties currently managed by Betbeze Realty Company. For more information regarding property management services, or lease availability, contact Joey Betbeze at (251) 554 8145. 7,500± square foot office/showroom/warehouse facility. A 54,000± square foot mixed use complex consisting of 10,000± square feet of retail space and 44,000± square feet of office/warehouse space. Currently this property is 100% leased. A 5,400± square foot office building located on the West I-65 Service Road between Cottage Hill Road and Highway 90 (Government Blvd). Currently 100% occupied. A 8,000± square foot Retail Grocery located on the north side of Halls Mill Road between Pleasant Valley Road and McVay Drive. The building is 100% occupied. A 2,500± square foot office/warehouse building located just off Highway 90 (Government Blvd). The building is 100% occupied. A 5,000± square foot office/warehouse located on the north side of Halls Mill Road, between Pleasant Valley Road and McVay Drive. The building is 100% occupied. A 14,000± square foot office/warehouse located at the intersection of Interstate 65 and Halls Mill Road. Currently there is a 3,150± square foot office/warehouse available for $1,250 per month, with a fully air conditioned warehouse. A 7,000± square foot restuarant located on the south side of Airport Blvd., just west of the Festival Center. The building is 100% occupied. A 6,250± square foot office/warehouse located on the north side of Halls Mill Road, between Azalea Road and the Interstate 65 Service Road. The building is 100% occupied. 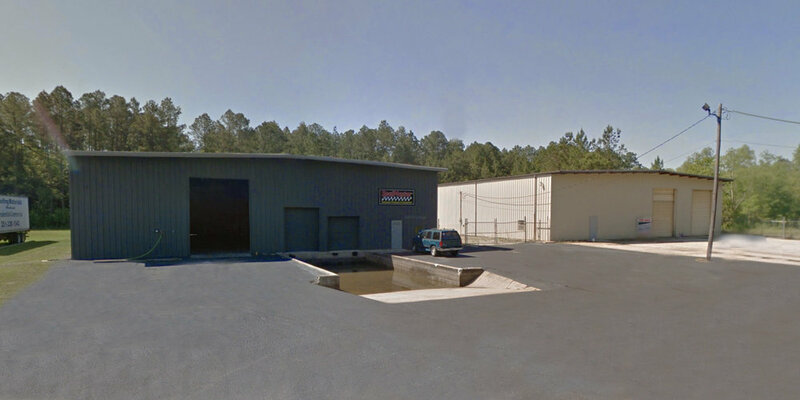 A 6,250± square foot office/warehouse located on the north side of Halls Mill Road, between Azalea Road and Demotropolis Road. The building is 100% occupied. A 9,060± square foot office/showroom/warehouse building located just off Dauphin Street at Interstate 65. The building is 100% occupied. A 63,000± square foot mulit-tenant distribution warehouse located at the intersection of Interstate 65 and Highway 98 (Moffett Road) in Central Business Park. The building is 100% occupied. 24,500± square foot multi-tenant office/warehouse building constructed of tilt-up concrete. Currently there is one vacancy, Suite 201 (2,750± SF), priced at $1,450.00 per month. A 12,800± square foot retail-office/warehouse located on the East Interstate 65 Service Road between Dauphin Street and Old Shell Road. The building is 100% occupied. A 7,500± square foot office/warehouse located in Industrial Park South. Currently 100% occupied. A 3,000± square foot office/warehouse building located just off Highway 90 (Government Blvd). The building is available for sale or lease. 3009 & 3019 Hand Avenue consists of two industrial buildings totaling 20,800± square feet, located in the Wolf Ridge Industrial Park. This property is 100% Leased. A 2,500± square foot office/warehouse located on the south side of Halls Mill Road, just west of Interstate 65. A 14,400± square foot office/warehouse located at the intersection of Interstate 65 and Halls Mill Road. The building is 100% occupied. A 2,300± square foot retail facility with a 2,000± square foot warehouse attached. The property is located on the north side of Moffett Road, just west of Interstate 65. The building is 100% occupied. A 6,000± square foot metal office/warehouse with 900± square feet of office space and 5,100± square feet of warehouse space. The building is 100% occupied. A 5,000± square foot office/warehouse located on Rangeline Road, just south of Interstate 10. The building is 100% occupied. A 3,100± square foot office/warehouse located in the Lakeside Commercial Park. The building is 100% occupied.